Home / Run. Hide. Fight. While no one likes to talk about potential violence on campus, unfortunately, we live in a world where it is better to be prepared for the worst case scenario. 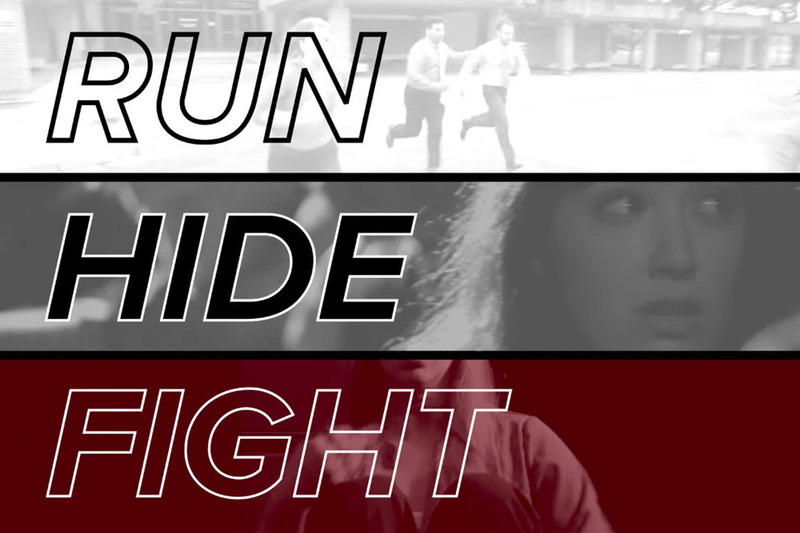 With the safety of our entire community in mind, Brandeis' emergency preparedness team screened training videos being used at other campuses across the country, and have chosen a video first produced by Ohio State University and then adopted by many others. It reflects a philosophy shared by many of how to respond, should you find yourself in the vicinity of a shooting. It is called "Run. Hide. Fight." That is the mantra we want everyone on campus to remember, in the unlikely event it happens here. While the video is somewhat graphic and might be startling to some, we don't intend to scare anyone. We fervently believe that education, exposure and planning will help you respond quickly and appropriately in an emergency. And collectively, that makes us all safer. Learn more about what to do in an emergency.